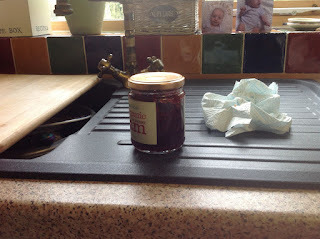 Big thanks to one of my neighbours, Chris, for rescuing my breakfast this morning by opening my new jar of raspberry jam. My poor old wrists just ain't as strong as they were. Biddy was a little taken aback that I would ask a neighbour such a favour, but why not? We are blessed with great neighbours and even know the names of the occupants four houses either side. Doesn't sound much, but what about you? In our disconnected world how important is a simple thing like knowing who your neighbours are. Part of the joy of life is helping others when in need, it 's a sort of case of, ' it's more blessed to give than receive'. Try it and you'll see.